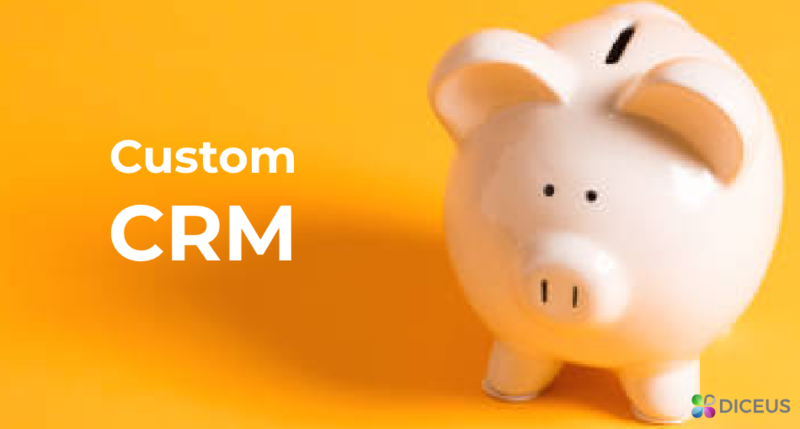 A driving force for any business is a custom CRM. What do you get with it? You make all the processes efficient, you let your company grow and prosper. 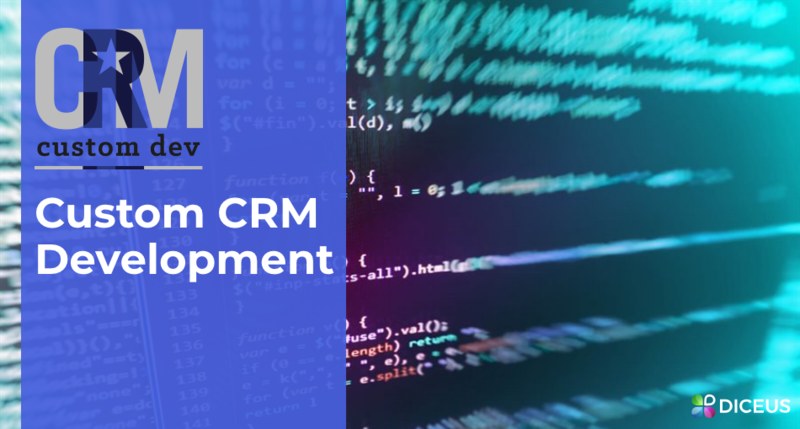 Investing in CRM development services can give you a good and robust basement for improving your interaction with the clients and the productivity of your workflow. On this page, you will get an idea of the technology side of the CRM platform and the marketing insights. We will give you real samples of existing software that have already gained positive feedback and reputation. There’s no big reason whether you only plan to build a new business or you already have a growing enterprise. A robust and reliable CRM platform will create a good basement and push you to move forward at a greater pace. Here we have three key and basic concepts of a CRM system that you should be aware of. You can choose an off-the-shelf product or pick up the variant of a custom development service. In both cases, architecture is a significant issue that should influence your decision. It will impact the quality of the services and experience that your clients will have. Choose the architecture that will let you integrate existing tools into a new system. Database. It’s good to have a centralized database with access in real time from any available device and location. You should have no problem with viewing any piece of information at any time of the day or night. Software. It’s the part that is responsible for collecting and processing information. You will use it for automating a bigger part of the processes and unite all the processes in a single application. There should be robust protection of the data to prevent any leaks. Dashboard. A user-friendly dashboard displays all the information on the screens of your devices. You will get all the information through it. You can have it attractive and full of visual elements or with a minimal amount of them. An example of simple business logic is asking a user to confirm his registration or any other action in the system. There will be a need to tap or click on one button. A complex business logic sample may be to complete the sales process automatically and the outcome of this action will depend on the steps you make during the process. Business logic may be typical if you buy an off-the-shelf product. And you can have a custom variant where you will define every single action and their combination. What you can add is how to interact with the contacts, a sales pipeline, what you can edit and limit access for specific groups of people. 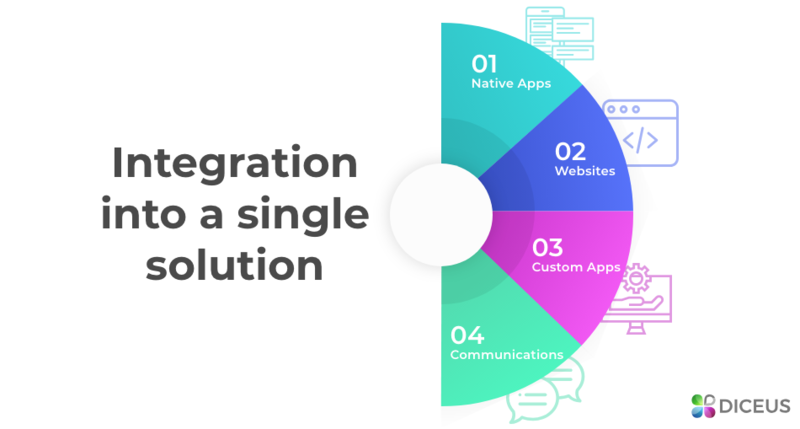 A customized solution gives you complete freedom on what to include into the platform and exclude the issues that you don’t need. Full customization will give you adjustable and adaptable software solution that will be lightweight and user-friendly. A back-side part will be supported by a robust technology stack. You will only need to pick up a reliable vendor with a reputation. Benefitnet. It’s a customized solution that was crafted from scratch. This platform is responsible for automating administrative tasks, sales, and marketing campaigns. It was accounting software for insurance brokers, it was developed for this niche and managing all the issues related to it. Zoho ZRM. A powerful solution with AI that acts out as a sales assistant. This platform is compatible with third-party applications that are commonly used for solving administrative tasks like MailChimp or Google Apps. Vtiger. This platform was built for sales, marketing, and customer support teams. There are a few awards that prove the simplicity and complex architecture of this product at the same time. Inline. This system is used for automating sales. Tracking information, emailing and other functions. It’s simple and lightweight. Tapdesk. Here you will have AI that takes care of collecting leads and dividing them into categories. This platform is focused on increasing sales conversion and building robust pipelines. Salestrail. You will get a comprehensive reporting system and a tool for tracking the productivity of your sales team. It can help with forecasting the future revenue of the company as well. Lumio. It’s a platform that collects information about each site visitor that you get. You see a user-friendly dashboard with the analytics about visits, conversion rates, and sales. It’s compatible with popular third-party apps. Agile CRM. It’s a universal platform that manages sales, services, and marketing. It’s a SaaS solution that can be accessed from any device or location. It’s also compatible with third-party apps. FreeAgent. This platform comprises sales, marketing, and customer support modules. It was built for small businesses. Developers have an award for the best customer support. Deltek Vision. It’s a web-based platform that doesn’t require any hardware or installation from the client’s side. You can use it for managing projects, accounting, and client management. If you decide to choose this way, you should be aware of the benefits that you can get from this. We all see and hear that CRM systems reduce working hours, automate a greater part of the processes and everyday tasks. Is there anything more? Let’s dive into the world of CRM development and see some other benefits. Just imagine having a spreadsheet with the details about your clients that is stored on one of the laptops in your office. You can have another emailing application that you use to send welcome emails and follow-ups. You can also have a tool that tracks all the visitors on your websites. You have these tools separately on different devices. What you get with a CRM platform is a combination of all the tools that you are used to. If you have a customized solution, you can even make the interface similar to eliminate the time that is required for the staff training. In a perfect case, you will have a cloud-based app that will be accessible from any device. Custom development gives you an opportunity to have as many features and module as you need. You will not have to pay for each new user that you add to the system as you have an automated registration form and process. Another thing is the reduction in working hours. You will need to hire fewer people even when your company will be growing. You can also save your time as you do not need to learn any things or issues that are not related to your workflow. You can have a solution that comprises only CRM software for sales management and nothing more. It doesn’t have to be a super complex application. It’s good to have a scalable platform that you can upgrade whenever you need. When you buy an application, you cannot influence its maintenance directly. You depend on the availability of time and means on the side of developers. You will not have a possibility to scale or upgrade the software right when you need it. Of course, you can ask developers to do some updates for you. In the case of a custom solution, you will not face such obstacles. However, this depends on the contract between you and the vendor. It’s good to make a deal before you start your cooperation. Everything should be mentioned in the contract or the agreement - here we mean how they will maintain the product and make any upgrades. You have a wide choice of technology stacks that will let you get a robust and comprehensive application. You’re not limited to the use of one single back and front-end stack. If you plan to build a complex project, hiring experienced custom CRM developers will give you a good combination of popular stacks. Depending on the architecture, you will have a back-end that will quickly process all the requests, collect and store the data. The front-end part will be responsible for the interaction with the users. Your staff members will have good user experience thanks to the right choice of elements that they will see on the screens. Make a few taps or a few clicks and you will get all the information you need in front of you. You can get access to the customer view where you will see all the information such as the date of birth, hometown and much more. You don’t waste time on finding this or any other pieces of data. You can access it from any device. Enhanced productivity comes after training the staff and some little practice. We consider seeing first results within two or three months. This greatly depends on the niche and the way you train your teams to use the software. 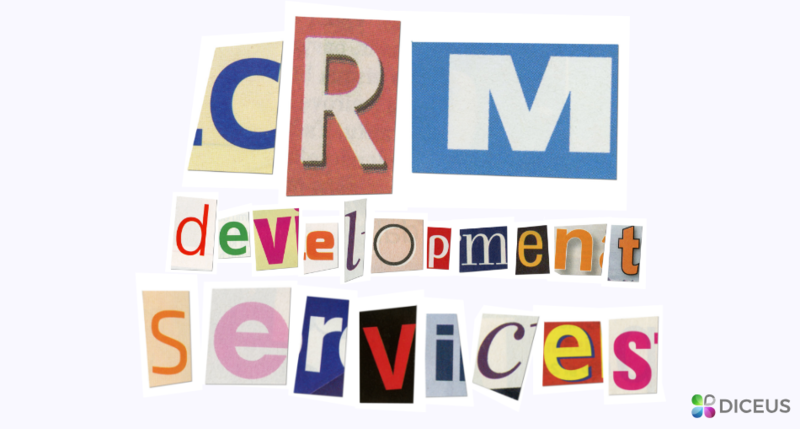 What can you get from a CRM development company? How do you imagine your cooperation with a software development company? Do you already have a scope of your project? Do you have any doubts about it? You may be still planning a new product and think who can help you with its deployment. Here are the key things that you can expect from the software vendor. A vendor takes your idea and turns into a comprehensive solution. It’s a project that is developed from scratch and the remote team takes care of it from start to finish. You discuss goals, logic, architecture, scope, other aspects and get the product before the deadline. A vendor can take your current CRM platform and add more components to it or integrate it with other applications. You save your time and money as a vendor may need just a few days for completing the task. If you have a web-based application that your clients use and you already have a good CRM platform, you may need a comprehensive analytical tool. You will get information about site visitors, their behavior and other aspects that era important for you. You can ask a vendor to build only one module for your CRM platform. It can be anything that you lack for your efficient workflow. You can ask to build you a trifle thing that will monitor the activity of your staff or an app that will forecast revenue for the next year. It’s up to your needs. If you have only desktop software, you will give your employees more flexibility with the help of a mobile version of the CRM app. You will let everyone have access to valuable information without the need to be next to the laptop. 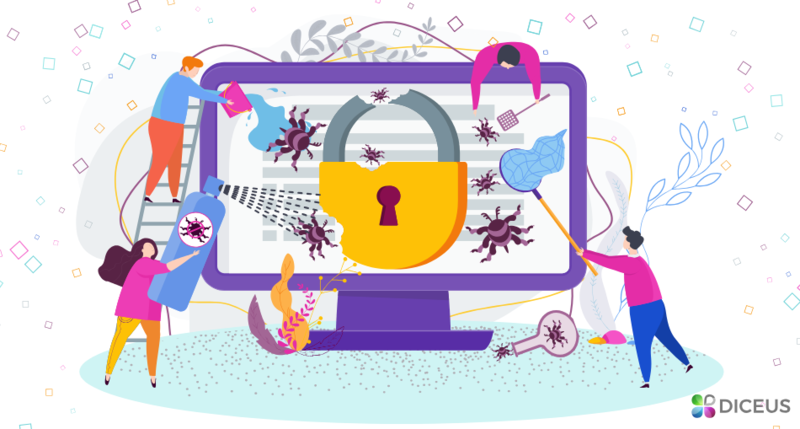 Storing data requires reliable protection and round-the-clock access. You may have obsolete software that slows down work with the information. In this case, you don’t have to build the whole system from scratch. You may need help with data migration from one CRM to another one. If you have spent many years collecting data about your customers, it’s important to save it. We recommend hiring only experienced vendors that have the similar experience. You can hire one or several developers and manage their work yourself. For example, when you lack a few people in your team and you don’t have time to hire them in your location. Or there might be some obstacles that don’t let some of your team members perform their tasks. Diceus is a software partner that takes the idea and gives back a robust result. CRM development service is what we’re good at and we have enough experience to prove it. A high quality of the product, a careful choice of technology and on-time delivery.